Minneapolis’s noisy Doomtree collective lives at the bleeding edge hip-hop grind and punk rock’s get-in-the-van ethos. 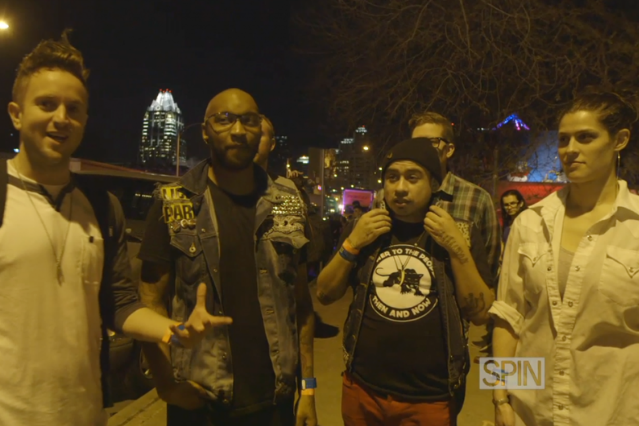 In March, their two month tour landed the crew in Austin for SXSW, and SPIN followed the posse around with some video cameras (thanks to helpful sponsors ABSOLUT Vodka). Watch P.O.S., Sims, Dessa, Lazerbeak, Mike Mictlan and Paper Tiger get totally overwhelmed by Austin and wax philosophical about truck stops. And come back to check out our Nights Out With… MNDR and Lower Dens, too.